This famous temple is located in the beautiful Dhauladhar ranges in Kangra district, amid dense tea gardens and lush surroundings. It is dedicated to Goddess Durga, who is believed to have been immortalized in a stone that always remains wet inside the temple. The temple displays wonderful carvings of gods and goddesses and it is believed that when Goddess Sati, wife of Lord Shiva, died, her skull had fallen here on this spot. The alluring surroundings, exquisite design, and magical atmosphere of this temple attract a lot of tourists every day. 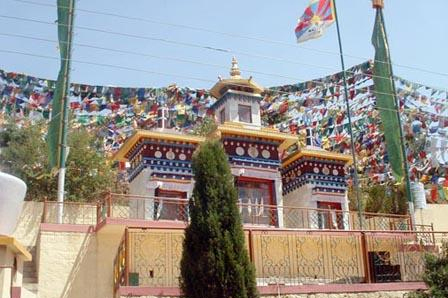 The Kunal Pathari is only a few kilometers away from Dharamshala and a walk from Kotwali Bazaar will lead you to the rock temple of the local goddess. Since the temple is located near revitalizing tea gardens, the tourists can enjoy a good view of the Dhauladhar range, where they will be greeted by refreshing winds. This is a perfect place for a nature walk and photography and to get the blessings of the mother goddess.